Starfall Education Foundation is a publicly supported nonprofit organization, 501(c)(3). We create free and low-cost experiences whereby children can successfully learn through exploration. On the Starfall website and in Starfall classrooms, children have fun while learning in an environment of collaboration, wonderment, and play. We teach through positive reinforcement to ensure children become confident, intrinsically motivated, and successful. 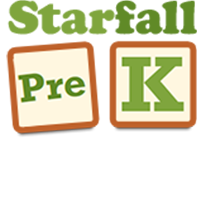 Starfall.com is listed by the kidSAFE Seal Program. To learn more, click on the seal or go to www.kidsafeseal.com. Starfall's founder Stephen Schutz never forgot his childhood struggle to read. As an adult he was naturally motivated to create a resource to help children like himself. The Starfall website opened on August 27, 2002 after two years of development. 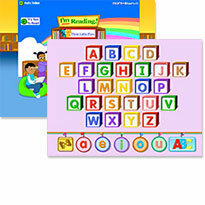 The concept was to create an environment "Where Children Have Fun Learning to Read™." The website was offered to the public completely free. Starfall expanded to become a fully developed kindergarten English and Language Arts curriculum and a comprehensive pre-K curriculum. 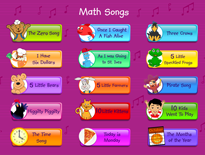 Over the years the Starfall website's offerings have grown in the number of songs, books, and mathematics activities extending to second grade. 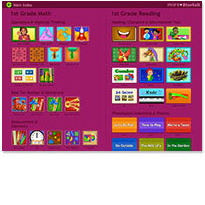 In 2012 Starfall began providing its activities as apps for mobile devices. It is now a place where any child can learn reading and mathematics through exploration. On July 1, 2015, the Polis-Schutz family donated their full interest in Starfall to the Starfall Education Foundation after supporting the project as a social enterprise for 15 years. The Polis-Schutz family shares a passion for education. Stephen's wife, Susan Polis Schutz, was a teacher in New Jersey and New York City in the 1960s. Their oldest son, Jared Polis, served on the Colorado State Board of Education (2000-2006) and started two other educational non-profits. As a publicly supported non-profit 501(c)(3) organization Starfall continues this tradition of public service. 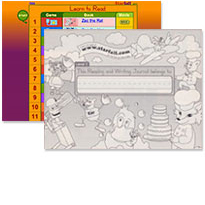 Starfall.com "Learn to Read" opens with 15 books, 14 games, and 5 movies, and offers free writing journals. "It's Fun to Read", featuring the exceptionally popular new index "All About Me" debuts. 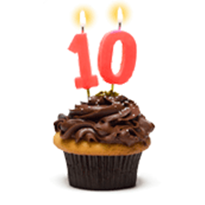 By the end of 2003, Starfall Education has shipped 10 million writing journals free of charge to children around the world. 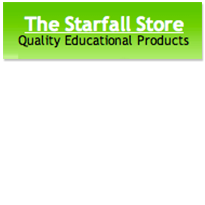 The Starfall Store opens with a mission to provide high-quality educational materials at low cost. 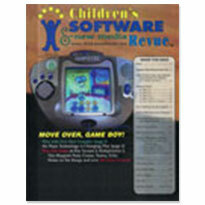 Starfall is the first website to be rated "highest" in their Early Elementary category by Children's Software & New Media Revue (Volume 12, Number 1, Spring 2004). 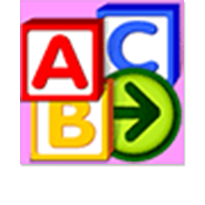 Starfall.com extends its content for younger and older readers with the "ABCs" and "I'm Reading" indices. 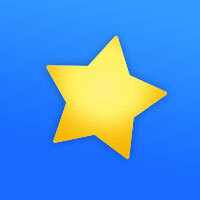 The Reading Teacher names Starfall.com one of "Five internet sites too good to miss" (Volume 59, Issue 8). 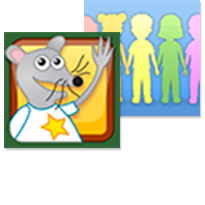 Starfall.com has grown to over 180 activities, free to the public. Starfall Education releases its research-based, field-tested English and Language Arts program, Starfall Kindergarten. 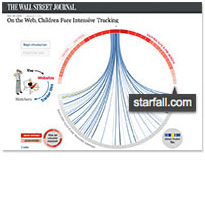 The Wall Street Journal reports that no other website respects children's privacy better than Starfall.com ("On the Web, Children Face Intensive Tracking", September 17, 2010). 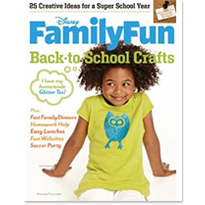 Disney's Family Fun lists Starfall in its “Top Ten Fun Websites”. Starfall enters the mobile age with Starfall ABCs for iPhone. 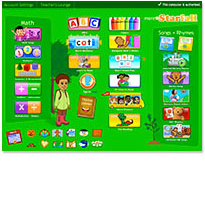 Starfall's membership website opens with colors, numbers, math, songs, rhymes, and even more reading activities. Membership fees make it possible for us to continue offering free Classic Starfall content and low-cost teaching materials. 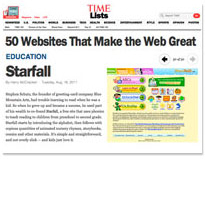 Time Magazine lists Starfall among "50 websites That Make the Web Great". 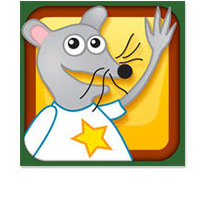 Starfall Learn to Read app and Starfall All About Me app available for Apple and Android devices. 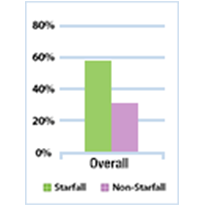 Starfall doubles its Math and Reading content, meeting Common Core State Standards for Kindergarten and 1st Grade. 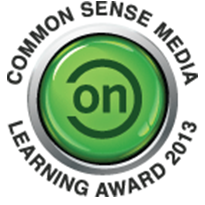 Starfall FREE, Learn to Read, and All About Me apps win "On For Learning" awards from Common Sense Media. 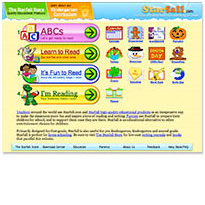 Starfall opens a First Grade Index on Starfall.com. Starfall Education releases its field-tested, and research-based integrated curriculum: imagination and play—that's Starfall Pre-K! 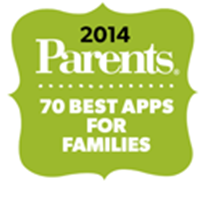 Starfall Education listed in the 70 Best Apps for Families by Parents magazine. 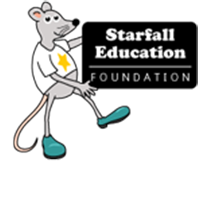 We're now a publicly supported nonprofit organization: Starfall Education Foundation! See the IRS Determination Letter. The Starfall Store gets a fresh new look and functionality upgrades, with improved search features and product descriptions. 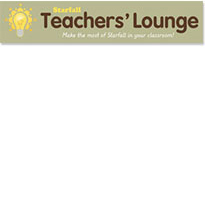 The Starfall Teachers’ Lounge becomes a stand-alone resource website for grownups at teach.starfall.com. Starfall releases its third curriculum, Starfall Kindergarten Mathematics! 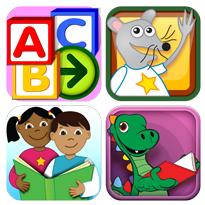 Starfall now offers our four Classic Learn to Read sections as apps for free for everyone. Starfall releases the 2nd Edition of the Starfall Kindergarten English Language Arts curriculum, featuring daily writing moments, Zac and Friends chapter books, and more! 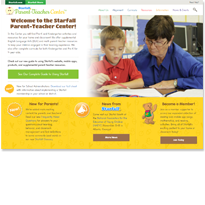 Starfall’s primary resource for grown-ups, teach.starfall.com, expands support for parents and teachers alike with the all-new Parent-Teacher Center. 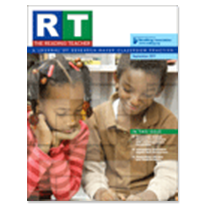 Old Schoolhouse Magazine publishes reviews of Pre-K, K-ELA and K-Math curricula. 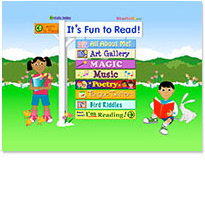 Starfall’s classic Learn to Read apps go offline-ready for the World Literacy Foundation’s Sun Book Tablet Initiative. 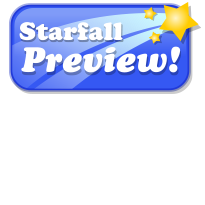 Starfall introduces a new Preview section to members introducing new activities and skill sets being developed. 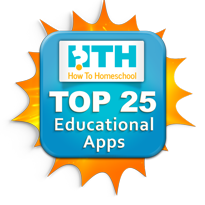 Starfall Education listed as one of the Top 25 Educational Apps of 2018 on HowToHomeschool.net. 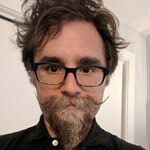 Five new math songs are now available on the Math Songs Index: Three Crows, I Have Six Dollars, As I Was Going to St. Ives, and Pirate Song. 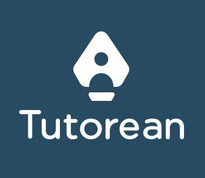 Starfall listed as one of the Top 50 Best Free Tutoring Apps on the Tutorean website. 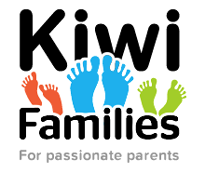 Listed as number 2 on Kiwi Families Top 10 Educational Websites for Kids. NO RENUMERATION IS PAID TO THE OFFICERS AND MEMBERS OF THE BOARD OF DIRECTORS EXCEPT AS NOTED BY AN ASTERISK APPEARING AFTER A PERSON'S NAME. The inspiration for Starfall originated in Stephen’s childhood. At age 9, Stephen was still struggling to read. What came easily for his peers required many more hours of his work. Although he possessed mathematics skills, as a reader, he was consistently toward the bottom of his class. He did not learn to read until 5th grade. After attending the High School of Music and Art he pursued his interest in mathematics and science at MIT and Princeton University, earning a PhD in Physics. After a two-year fellowship in solar physics, he traveled around the country with his wife, Susan Polis Schutz, selling handmade posters out of their pickup truck. This enterprise evolved into Blue Mountain Arts publishing company and eventually into the well known e-card website bluemountain.com. 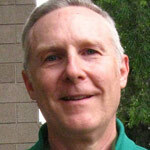 Stephen’s vision to help today’s children learn to read through audiovisual interactivity and positive reinforcement led to the creation of Starfall. 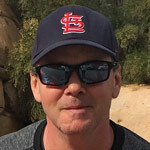 Joel is currently Co-CEO of Tenth Avenue Holdings and Chairman of the Board of Tenth Avenue Commerce LLC, Avenue Income Credit Strategies Fund (NYSE: ACP), Avenue Mutual Fund Trust (Avenue Credit Strategies Investors ACSAX and ACSBX) and Evolution Gaming Group AB (SS: EVO). Most recently, Joel served as President and CEO of Jovian Holdings, a private investment and operating company (2002 to 2008), and he was also Chairman of Provide Commerce Inc. from 2001 to 2006. Previously, he held executive and operating positions in various companies. He has and continues to serve on the Board of Directors of several public and private companies in Europe and the U.S. 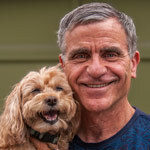 He is also actively involved in philanthropy and is currently on the Executive Committee and a past President of the Board of Trustees at the Abraham Joshua Heschel School in New York (Nursery through 12th Grade). 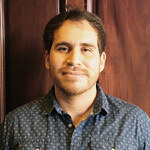 Joel is a board member of the University of Southern California Shoah Foundation Institute. 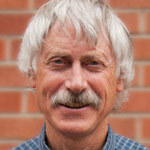 Mr. Citron holds an MA in Economics and a BSc in Business Administration from the University of Southern California. Myrna has been involved in children’s education for over 45 years. Following graduation from Rider University, she began her teaching career in New York’s Spanish Harlem teaching first grade. She soon moved to Pittsfield, Massachusetts where she taught for 35 years. An early innovator in exploring better ways of teaching, she incorporated music in her curriculum to facilitate active learning in her class. Myrna was part of Starfall's early development, drawing upon her years of teaching young children and testing the Starfall methods with her students. Now retired from active teaching, she serves as a volunteer at an elementary school where she continues to test many of Starfall’s programs. 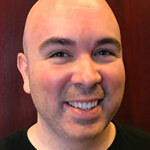 Greg is a computer scientist who develops software for companies in the financial industry. He received an M.S. in computer science, and a B.S. in math and computer science, from the University of Illinois – Urbana Champaign. 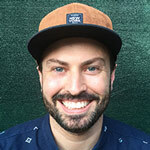 Greg also studied computer science at the Massachusetts Institute of Technology. 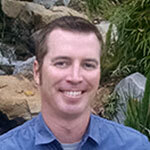 Greg currently works for a private company in Irvine, CA. Gina Nocera is the Executive Director of the Jared Polis Foundation in Boulder, Colorado. Since 2004, she has managed programs focused on education and technology within the private operating foundation. 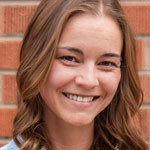 Gina also manages the foundation’s donor-advised fund at The Community Foundation of Boulder County, which awards grants to Colorado nonprofits focused on education, environment, health and diverse/healthy communities. 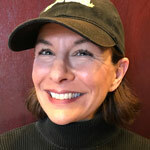 Prior to the foundation, Gina worked in education and environmental advocacy nonprofits in Colorado and Washington, DC. 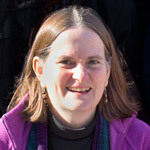 She has taught English on the secondary level in Telluride and Boulder, Colorado. 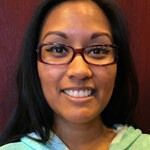 Gina has a BA in Political Science from the Ohio State University and an MA in English from the University of Colorado at Boulder. Jordanna Polis Schutz is a technologist, education enthusiast, and early stage investor who focuses on impactful solutions to meaningful problems. 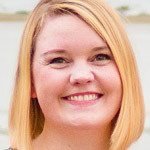 She has previously worked in public policy and national security, including serving in a presidential administration, and prior to that as an entrepreneur, including managing strategic product development at bluemountain.com and founding a company that delivered a secure payment platform during the rise of e-commerce. She holds an AB in Physics and Mathematics from Harvard University, an SM from the Harvard-MIT Division of Health Sciences and Technology, and an MBA from MIT Sloan School of Management. Her father, Stephen Schutz, taught her how to read (many years ago) using the same methods and stories that he would later make available to all young readers via Starfall. 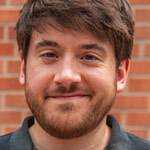 Roger transitioned from an early interest in music and theater to a career in graphic arts. 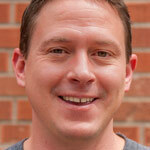 He was Creative and Public Relations Director at Blue Mountain Arts for 5 years. He later earned a B.A. in Physics from the University of Colorado in 1987. While a student he worked as a research assistant in biopsychology and at the Laboratory for Atmospheric and Space Physics. 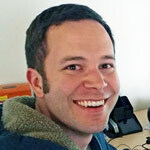 Roger worked for 12 years as a system-software engineer with Lockheed Space Systems. 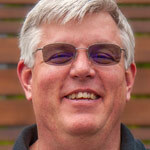 In 2001 Roger created the computer and network systems for Starfall and served as its CTO until 2016 when he became Starfall's president. He is a former Colorado State Representative. Having attended Colorado Outward Bound and the National Outdoor Leadership School in his early years, he is an enthusiastic hiker and skier. Jay graduated from the University of Southern California with a B.S. in business administration and from the University of California, Berkeley, School of Law with a J.D. He was a partner with the international law firm of White & Case where he specialized in corporate transactions. 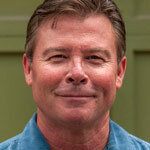 For the past 25 years he has been engaged in commercial real estate and also serves as an officer of SPS Studios, Inc. Over the years Jay has served as a director or trustee on the boards of several not-for-profit organizations including Occidental College, The YMCA of Metropolitan Los Angeles, the Independent Colleges of Southern California, and currently the Autry National Center where he is a member of the Executive Committee. 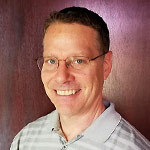 Paul is a Certified Public Accountant in the State of California with more than 25 years of public and private accounting experience. He is a member of both the American Institute of Certified Public Accountants and the California Society of Certified Public Accountants. Prior to his current position as Chief Financial Officer of SPS Studios, he was a Vice President-Controller of a Fortune 500 real estate related financial services company. Diana has more than 20 years accounting experience in various industries within the private sector, including real estate development, property management, construction, and agriculture. She holds a Bachelor's Degree in Economics from University of California San Diego. Prior to her current position as Director of Finance at SPS Studios, she was the Controller for JMI Realty, a real estate development company. 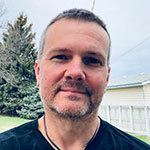 Led by Stephen Schutz and Roger Wilson, Starfall is produced by a dedicated and talented team of educators, writers, artists, designers, animators, musicians, programmers, quality engineers, and systems specialists. Led by Gina Morgan. 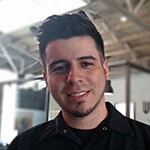 Supported by a multidisciplinary group of game designers, programmers, artists, animators: Brandon Barnes, Dale Beisel, Craig Deeley, Terrence Keller, Kevan Mills, Art Morgan, Julie Quinsay, and Jason Truxal. Led by Steve D. Schulz. Led by Faith Gowan, Publications Director. Supported by Marc Buchanan, Graphic Designer & Editor, and Angel Frierson. Led by Martha Menk and supported by Shelbi Richman. Led by Greg Boubel. Supported by Kristofer Lee, Jon Leyba, Matt Reese, and Bret Riner. Led by Steve Patschke. Assisted by Rick Roberts. Starfall would not be possible without the support of Kerry DeZell, Matt Bunning, Augustin Castillo, Vickie Castillo, Jose Marez, Mark Quire, Nate Torres, Katrina Wood, and the rest of the warehouse team at Blue Mountain Arts. 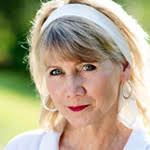 Over the years important contributions have been made by Alicia Ahlstrom, Trish Audet, Fe Baran, Karen Bidgood, Patty Brown, Dr. Karen Cole, Dan Chao, Kimberly Cooper, Taylor Diltz, Joan Elliott, Hawk Eppler Zindell, Kathy Faber, Pam Ferguson, Flexis (Vasiliy Chernykh, Pavel Didenko, Ilya Stremovsky, and Alexander Tsyplikhin), Judy Goetze, Kira Gowan, Stefan Gruber, Jamison Hill, P. Colin Hill, Ryan Hightower, Raymond Hollowell, John Hesterman, Heather Hogan, Smita Khatri, David Lebow, Debby Lee, Frank Lee, Tiffanie Mahan, Florence Marino, Darla Marquez, Michael Ramirez, Jared Ramos, Stephanie Riess, Julie Roland, Triska Wasser, Hallye Webb, and Loree Wilcox. We give special recognition and thanks to Brandi Chase our founding Executive Director 2002 to 2016. Thank you. Original music and arrangements by Randin Graves. Additional arrangements by Marty Brinsko, Keith Heldman, and Mike Thompson. Richard James arranged music for the Silly Turkey, Pick a Pumpkin, and Find a Four Leaf Clover activities. Starfall is committed to reducing our impact on the environment. 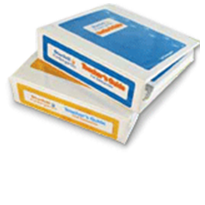 For the products we manufacture, we choose non-toxic inks and recycled or sustainably sourced paper whenever possible. We design to minimize our use of plastics. We seek US manufacturers first to minimize transportation impact. Our Boulder, Colorado office recycles, composts, and gets energy through solar panels on our roof. Our goal is to create the best possible product for you and the earth. Find Starfall Education on Facebook or Pinterest for craft ideas, curriculum updates, and notifications about new content for web and mobile devices.